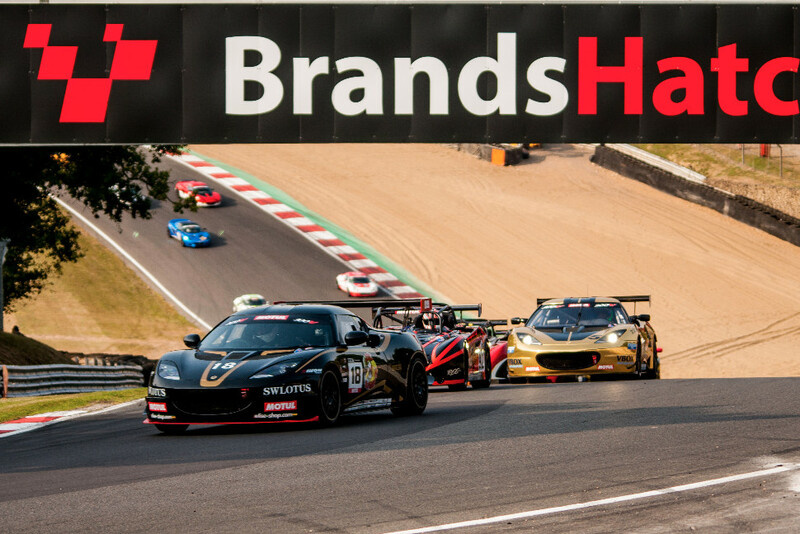 After a seven-week summer break, Lotus Cup Europe returned to the UK for two races on the Brands Hatch Grand Prix circuit, headlining the Lotus Festival. 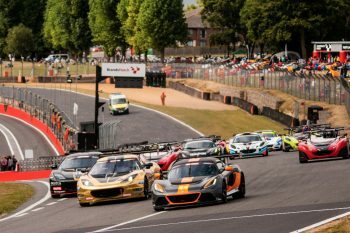 With a fine record at the former British Grand Prix venue, Steve Williams was hoping to carry his momentum from the last rounds at Spa-Francorchamps on to Brands Hatch, where the UK drivers were expected to have an advantage over their continental rivals. Jon Packer was also looking to stay in front of his class rivals with more overall wins, whilst Production and overall championship leader Tamas Vizin was aiming to continue his winning streak. Williams and Packer confirmed their status as favourites for the weekend in the opening practice session, a mere hundredth of a second separating the pair, with the latter leading the order. Open class contender Harry Woodhead was third in the first session, with Jean-Baptiste Loup heading the 2-Eleven class in fourth place. In Production, Vizin only held a small advantage over Thierry Hedoin, by his standards at least. Williams turned the tables in the qualifying session, heading Packer by a tenth, but in third place was the 2-Eleven of Christophe Lisandre, who had overhauled Woodhead, now fourth but still way ahead in the Open class. It was a good session for the 2-Elevens, with Jean-Baptiste Loup fifth overall and two places ahead of his father Philippe, the pair sandwiching Andrew Wright’s V6 Exige. The similar cars of Tommie Eliasson and Robin Nilsson were eighth and ninth respectively, with Neil Stothert making it four 2-Elevens in the top ten. Vizin once again led his class, taking 18th overall on the grid and three places ahead of nearest rival, Hedoin, with James Knight a couple of places further back. Williams made a textbook start, and led the 2-Elevens of Christophe Lisandre and Jean-Baptiste Loup on the opening lap, and the race soon distilled into a battle between these three, with Williams always just a little out of reach. Indeed the focus was more on the fight for second, which Loup was to win after Lisandre retired from the race. Lisandre’s non-finish promoted Packer up to the podium, making some amends for his poor start. He headed Loup sr’s 2-Eleven, and both finished ahead of Open class dominator Harry Woodhead. The V6 Exiges of Tommie Eliasson, Andrew Wright and Robin Nilsson had an entertaining dice for sixth place, whilst Jean-Pierre Genoud-Prachex and Neil Stothert’s 2-Elevens meant that there were four cars from this class in the top ten. In Production, Vizin scored another win, with Markus Nikowitsch second and Mark Yates a fine third in class. It wasn’t as easy for Williams in race two, and stuggling to get the heavier Evora off the line he lost out to Wright and Packer. 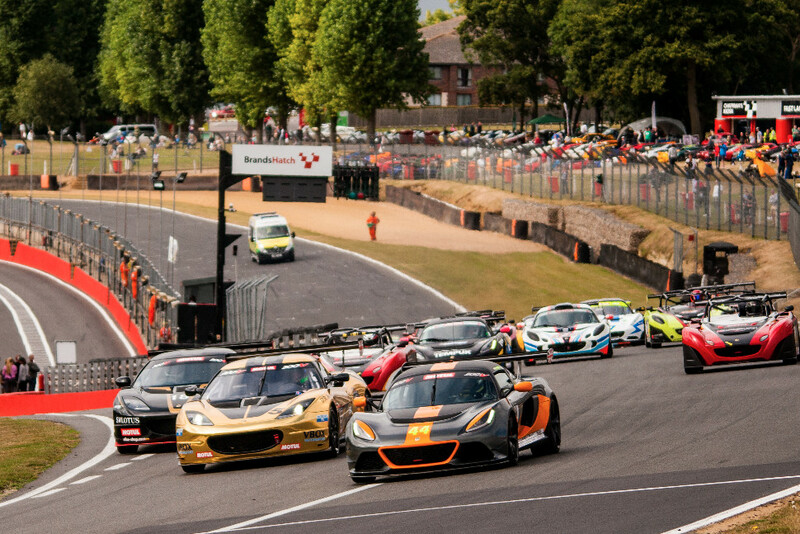 However within a lap he was past both, taking the lead with a dive into Paddock Hill and set off into the distance, aided by Wright’s Exige holding the rest for a few more corners. Packer found a way through to second place, but he had his mirrors full of an exuberant Jean-Baptiste Loup and the pair settled into a battle for second place. This was resolved late on, when Packer pulled into the back of the pits. Soon after a few spits of rain turned into a brief summer shower, but it was intense enough to bring out the safety car. The precipitation made the fight for the Production class a thriller, with Vizin unable to clear the chasing cars of Hedoin and Knight. As the surface became more unpredictable, so the gap see-sawed, but the Hungarian was able to hold on until the safety car period, especially when Hedoin lost several places, promoting Jason McInulty to the class podium. After a few laps bunching the field, and with the rain showing no signs of abating, the race was red-flagged. 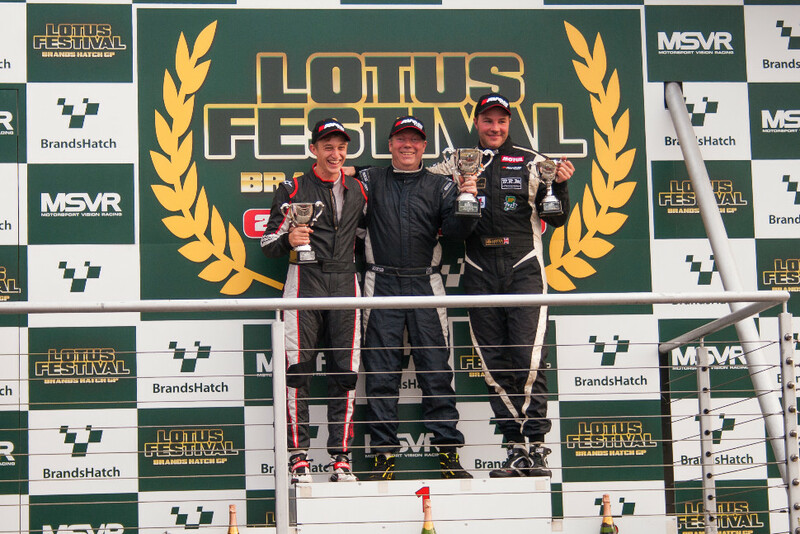 Joining Loup on the podium was his father Philippe, making for a joyous family occasion. Behind the top three were the Swedish V6 Exige pair of Nilsson and Eliasson, with Wright slipping back to sixth place. 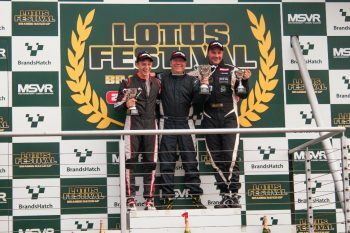 The trio were followed home by the 2-Eleven of Jean-Pierre Genoud-Prachex, with the early Open class leader, Harry Woodhead losing out to Christopher Laroche after an off-track excursion in the rain. The top ten was completed by Nathalie Genoud-Prachex. Williams was the favourite to win here following his breakthrough at Spa-Francorchamps, however the expected challenge from Packer was blunted and this was to the advantage of Loup jr, who had a superb weekend. Meanwhile Vizin edges ever closer to the title with another pair of victories – will he add to his perfect score in Zolder next month?